We all know that riding a bike is good for us. And its certainly good for our kids! 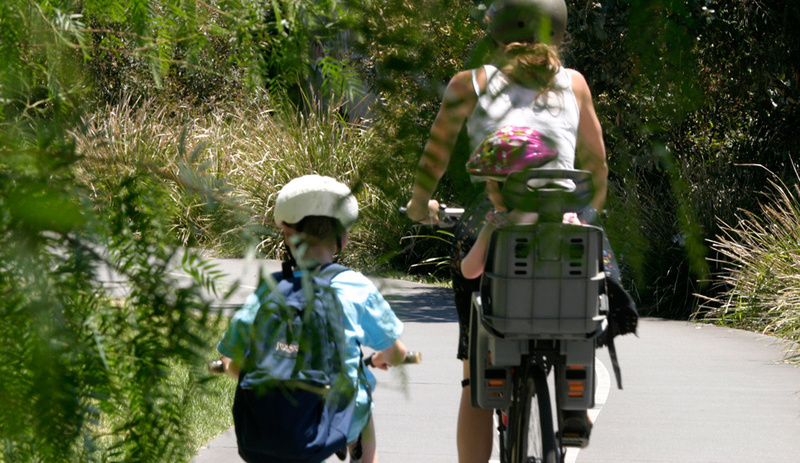 Families who ride together are happy, healthy and better able to concentrate over the course of the day. Would you like to be able to ride with your kids, maybe to school, the market, friend's places or the park? If you're being held back by a lack of confidence in your own skills or knowledge and live in North Melbourne join us for one of our Good Wheel Cycling with ChildrenTraining sessions. You will need a bike in good working order and to attend wearing comfortable brightly coloured clothing. Places are limited to 30 participants per session. These sessions are intended for parents and carers only and not suitable for children to attend. This session will be held at North Melbourne Primary School.